Ugg I’m kicking myself for only staying 2 nights in Mérida last June when I could have seen Badajoz, Cáceres, some villages, etc. Oh well. “Throat Pot” looks like a charming, ancient rural village—thanks for sharing it with us! Nice photos of a typical Spanish back road village, there are so many of them I feel one can spend nearly a lifetime enjoying them all. 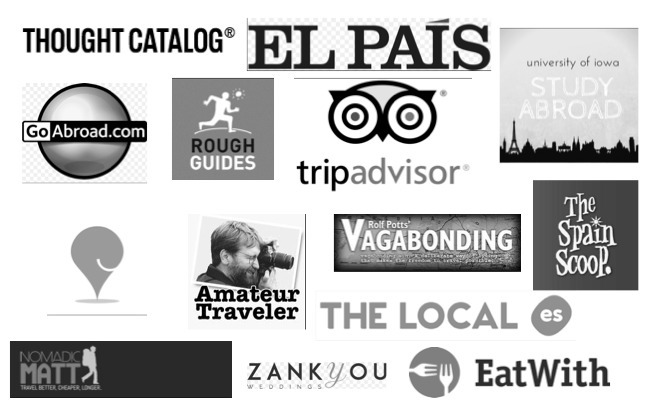 Yes, Spanish villages are the real heart of the country, and I have dozens of favorites! This seems like a really charming village. Thanks for sharing, Cat! If I’m ever (when I am), in Extremadura I’ll have to keep this in mind. 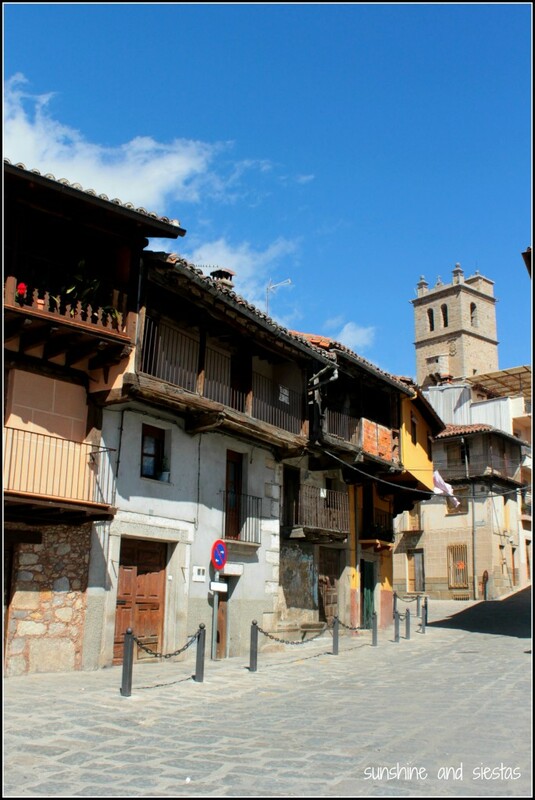 the name of the town is simply beautiful, one of the beauties of Spain are the medieval names of places, many of those names are laborious and odd. the name Garganta refers to a narrow of a river, a mount, a hill, etc so the village must have either of them, but this meaning is dying out, that’s why people, including Spaniards, may think of a “throat” instead of a narrow. some of my favourite small towns are located in Murcia, but no one cares about our region. I’m flattered, Pedro! And I’d be interested in knowing what your favorite villages are, since I have political family in Murcia and my boyfriend studied at San Javier! I’ve been to Cartagena, Murcia, Jumilla and Aguilas. anyway i am a beer man, and i only drink red wine with coke to make a Calimocho. I’m more of a beer person, as well! I lived in Murcia for two months. Loved it and will always go back. 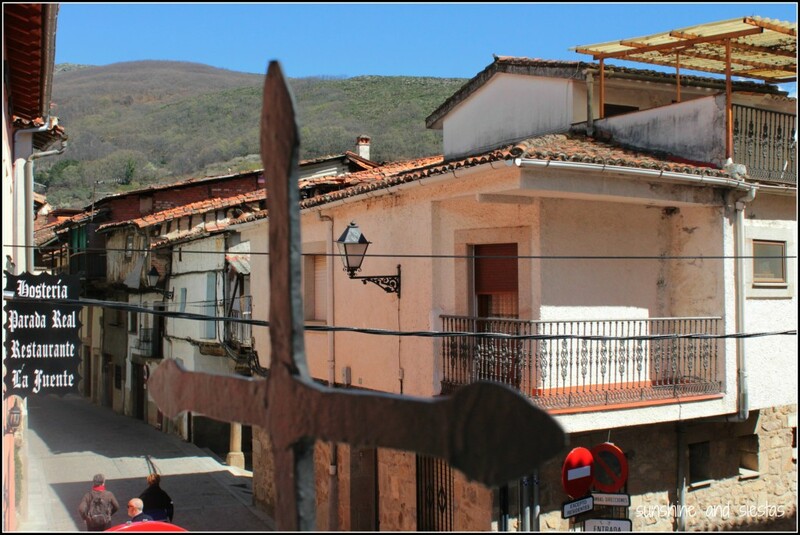 ‘Garganta’ is how people from northern Extremadura refer to the little rivers running down from the mountains. So you have lots of ‘gargantas’ creating natural pools where you can swim. 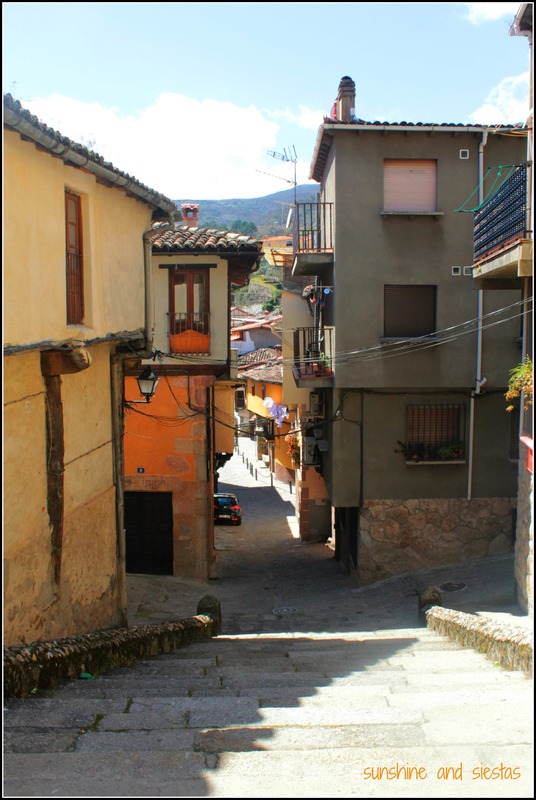 I lived in La Vera for 12 years and Garganta la Olla is one of my favourite villages. I have a 100% Extremadura dedicated blog in English, if anyone is interested in knowing more from this overlooked part of Spain from a local. I won’t put the link to avoid being spammy (but the name is Piggy Traveller). Cheers. Nice one Cat. Garganta La Olla is a lovely spot as are so many of the villages round there.I went walking in Los Gredos and through loads of villages in the area for 4 days about 8 years ago. I must get back some time to redo La Ruta de Carlos V.It was spectacular but it poured with rain all day making it a long hike through the mountains starting in Tornavacas. Hi Paddy. We walked by the end of the Ruta de Carlos V, and I would have loved to walk. Unfortunately, the Novio doesn’t take kindly to walking after so many forced hikes in Air Force school! I’ve heard wonderful things about Frigiliana! I take it you worked in Málaga, then? Nah, just happen to know those pueblos! A charming description of what seems a charming place. Extremadura is the only part of Spain I haven’t been to. Now you make me want to go even more. You must, Tom. 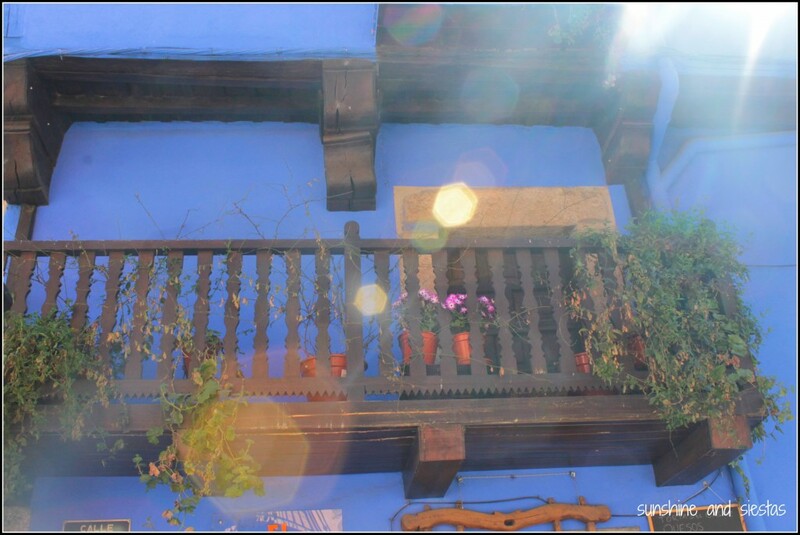 Extremadura is really an uncharted destination – Roman ruins, Golden Age opulence, outdoor activities. Or, you could walk the Vía de la Plata to Santiago through it! Already done the Camino Frances from St. Jean Pied du Port. That’s enough walking for a lifetime, Cat. The trip through Extremadura will be by car, I’m sure. Although I have a friend who was in a car accident in Caceres and spent two days in jail because the guy who hit him (yes, it was the other guy’s fault) was the mayor’s cousin, or something like that. He ended up getting out with the help of the American consul and had to flee to Portugal to avoid buying the other guy a new car. Yikes!! An American friend? Geez, the enchufe that exists around here is just insane and makes it impossible to do anything productive! Yes, enchufe and mordita are two words I recommend that anyone who thinks of living in Spain learn immediately. The name is great. This is one of those fun ones to literally translate, this game I do with Mario when we’re bored on the metro. Anyway, I love little villages like these! You get the BEST food/drinks in places like these. And the people are usually great. Thanks & enjoyed this. My Spanish wife has family in Extremadura…. great region. saludos! Thanks, Dan. It seems that most visitors don’t even know it exists, and I think you can agree that it deserves some love (and tourist dollars!). I’ve been to Extremadura twice actually! First time back in 2004 (nearly 10 years ago which was my first time to Spain!!) when I did a high school exchange program and during a puente when I was an auxiliar in fall of 2012. There isn’t a whole lot to see in Extremadura apart from the Roman ruins in Merida but I really enjoyed the trip because we were pretty much the only American tourists there, everybody else was Spanish. It really felt like we were totally immersed in the country and it was a great feeling. 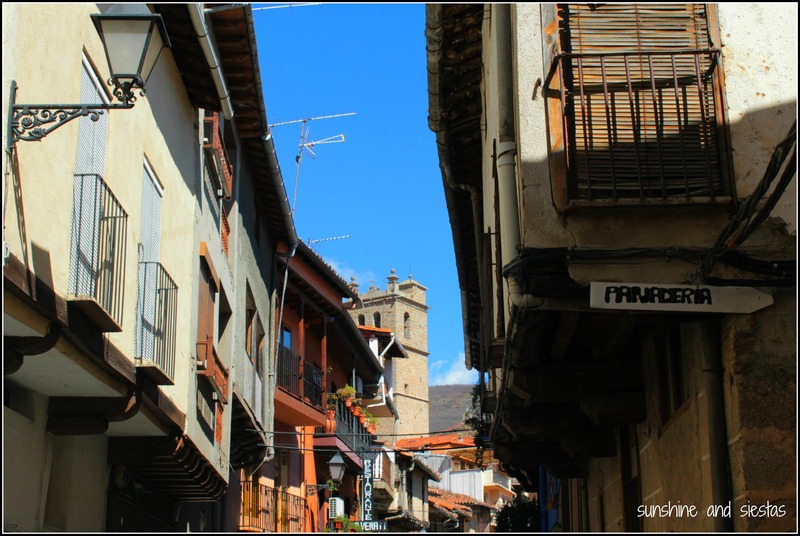 I’d disagree that there’s not much to see in Extremadura – Cáceres and Trujillo are lovely, there’s a UNESCO site at Guadalupe and the hiking and outdoors activities seemed promising. I saw a few other Americans in Trujillo, but nothing compared to walking down the street in Seville. You’re right – it was refreshing! The natural swimming pool in that town is well worth a look, amazing for a dip in the summer! It was still chilly when we went last month, but it looked so enticing! The natural pools in the Sierra Norte de Sevilla are wonderful, too. The husband’s family is from the Valle de Jerte. I love spending time there with family because the villages that dot this valley and the river that runs through it are so charming and not a tourist in sight! This is the famed Valle that the wonderful cerezas come from! It seems like every family member has a hand in the cherry business. I want to retire there!!! We saw the cherry blossoms in the valley. Very beautiful place with the mountains and streams! Cat, I love your website. Can’t wait to visit Seville when I walk the Via de la Plata. Buen Camino! Likewise, Randall! When are you starting? Would love to meet up, pre-Camino, and have a drink and chat.